Jasper Johns, "Painted Bronze (Ballantine Ale)," 1960. Image credit: Artchive. It's now industry dogma that attitudes toward fine art have never been more crass or commercialized than in our current era. Visual culture is on a Hyperloop to Hell––or at least that's the party line (even if you're a massively profitable artist like Gerhard Richter). But as longtime readers of the blog know, I'm always probing for evidence that the doomsday mindset, and the market activity that tends to inspire it, have been around longer than we tend to realize. And in honor of the spring New York auctions this week, it felt appropriate to dig through the rubble of an alleged apocalypse at Sotheby's 43 years ago, to see whether the conventional wisdom about its impact on contemporary art holds up. The Scull sale became the first US auction dedicated entirely to a private collection of contemporary works. According to Georgina Adam's book "Big Bucks: The Explosion of the Art Market in the 21st Century," it netted the Sculls a cool $2.2 million. And it also sent concerned parties in the industry into a primal rage, embodied by critic Irving Sandler's account of Rauschenberg––who watched his work hit the auction block in person––allegedly accosting Robert Scull after the sale, shouting, "Kiss me, I like to be kissed when I'm being fucked!" Of course, the truth is more complicated––and the post-auction confrontation between Scull and Rauschenberg serves as a perfect microcosm of that truth. It turns out that the encounter was not as antagonistic as industry campfire tales tend to portray it. As Marion Maneker of Art Market Monitor wrote in a 2014 post, video footage of the encounter shows that the initial tension quickly dissipated into a surprisingly amiable––and business-conscious––resolution. The turning point came when Scull wisely pointed out to Rauschenberg that the record success of his work on the auction block that night would only help raise the artist's primary-market prices going forward. 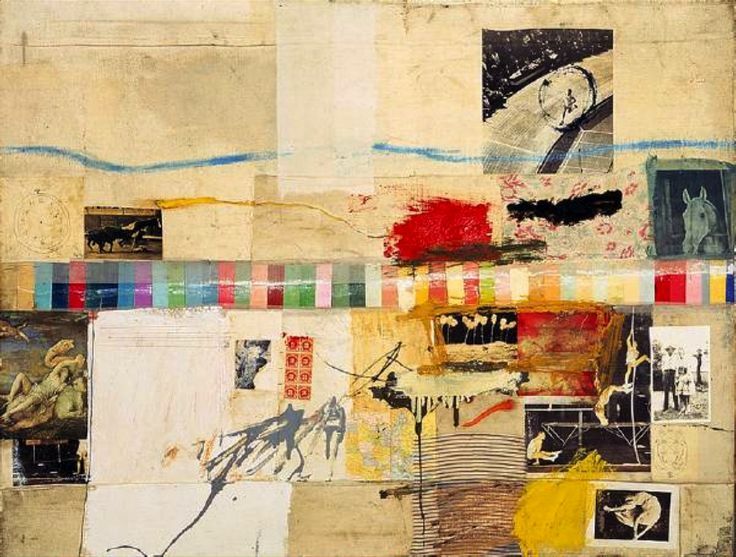 (Scull had acquired the Rauschenberg piece in question, "Thaw" (1958), for $900. It sold at Sotheby's that night for $85,000.) As Scull told the artist, "We work for each other." So did the Scull sale permanently push the art world off its axis on that fateful night in 1973? Like Velthuis and Horowitz, I doubt it. Especially considering that I've now heard or read similar "nothing was the same" rhetoric surrounding the art-market speculation of the late 1980s, Damien Hirst's direct-to-collector auction "Beautiful Inside My Head Forever" in 2008, and the Stefan Simchowitz-led boom in "cultural entrepreneurship"––AKA the rapid, arbitrage-driven resale of work by emerging artists––from about 2012 to early 2015. And if moving forward in time isn't enough to cast doubt on claims of Scull as doomsday figure, we can unearth forgotten evidence in the years prior, too. As I've written before, a major magazine was already trying to portray art as an investment vehicle in 1955, and Peggy Guggenheim––now revered as the Platonic ideal of a "true collector"––put Jackson Pollock on multiple Simchowitz-like contracts in the mid-1940s, granting her ownership of his entire annual output for a fraction of its value on the open market. So what's really happening here? The likeliest explanation is that we're all just eternally (and understandably) prone to recency bias. It reminds me of what Nick Paumgarten once wrote about people who move to Berlin: "Nearly everyone I talked to considered [the city's] peak... to have been a year or two before they arrived." The same basic phenomenon plays out in the art industry generation after generation: According to most people you ask, money corrupted everything right before they got involved. Somehow, the art world always just ended. But just as painting has managed to revive again and again after critics have chiseled its epitaph, contemporary art as a whole always manages to float on. From artists to dealers to collectors and beyond, everyone adjusts to the new normal. Soon enough, what once looked catastrophic even starts to look absolutely quaint. The Scull sale, for instance, would have netted Robert and Ethel only $11.8 million in 2016 dollars. Private collectors can now regularly bank that much on one or two auction lots by a living artist, and multiples of it if they consign an entire contemporary collection. Today's doomsayers wouldn't even waste a sandwich board on a return that small. This is not to say that nothing actually changes in contemporary art. Claiming that the industry in 2016 is no different from the industry in 1973 would be as nutty as claiming that we should still be anesthetizing surgery patients with whiskey and a stick to bite down on. The point, however, is that we can always look at the changes in one of two ways: as irreversible tragedies to lament, or as motivation to evolve. So the next time you hear that commerce has obliterated contemporary art as we know it, remember that the end of one world is also the opportunity to build another.